Since Apple started allowing browsers to be installed on the iPad other than the built-in Safari Mobile, Opera has been tuning their option. 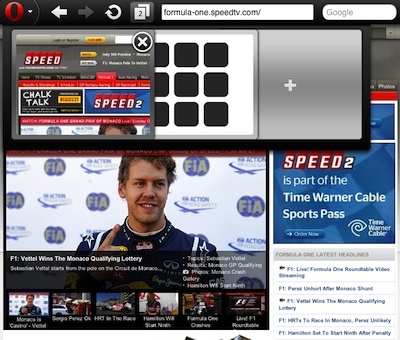 This free universal app has many of the Web browser features found when using a desktop browser. Rather than buttons along the top and bottom of every page, Opera Mini Browser keeps it’s many page options within a ‘Opera’ button at the upper left corner. Options highlight when they are available for the page being viewed. Launching the app presents the user with a ‘Start Page’ of thumbnails of pages chosen to be accessed quickly… called ‘Speed Dial’. These thumbnail windows can not be moved around and removing one will leave a blank square. The options expand in the Opera Mini Browser pull-down when viewing a Web page. 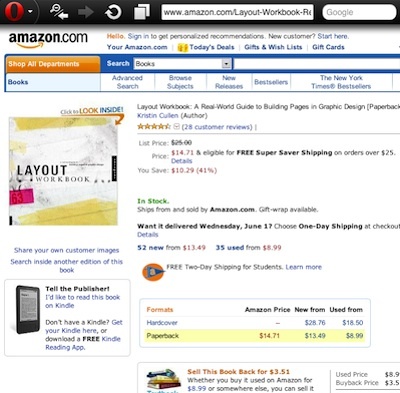 A button for quick jump to the Start page, Sharing the page’s address with others, and a search for text on the current showing page. The numbered box next to the URL entry field shows the number of Web pages open. Tapping opens a overlapping view of those open pages and a ‘+’ page to open new. This view is easier to see and move through than a tabbed bar found most often on a desktop browser. 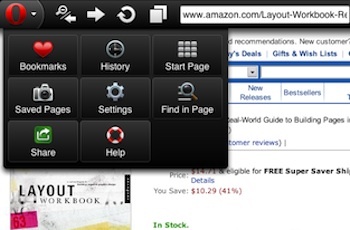 Double tapping a page will zoom in for a larger view of an area of a Web page. Rather than two finger zoom out, Opera Mini Browser offers a button to tap in the upper bar to go back to the original view. “Speed Dial” is your quick access bookmark page. You can either add an address here manually or choose one from history. 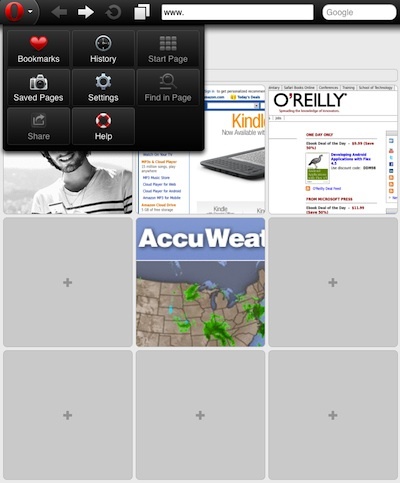 Opera Mini Browser will add the page as one of the opening page squares. Several pages we chose didn’t get thumbnail images, instead just showing a gray box… most where multimedia heavy pages.